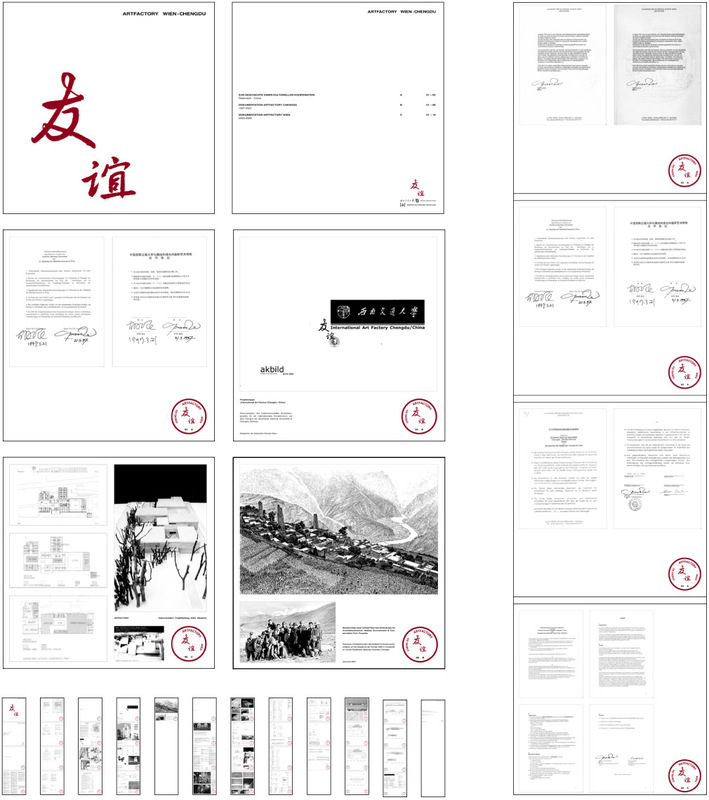 The documentation of a cooperation between Austrian and Chinese Institutions (southwest Jiao Tong University Chengdu and the Academy of Fine Arts Vienna) needed a layout concept that was able to include various forms of material like: Correspondences, lists, plans, and various forms of pictures. Inspired by the chinese Cooperators we developed a logo that has to serve in the following process as an icon and an stamp. In the middle is the Chinese sign for friendship surrounded by the name of the project and the names of the two institutions involved. The books where printed in black and white, 3 Books where bound in linen and stamped manually in red ink in the right corner of the pages. The overall impression was rough and haptic, every stamped page is unique. For the exhibition we did top to bottom banners with the pages of the book, that has to be read 下 to 上 .